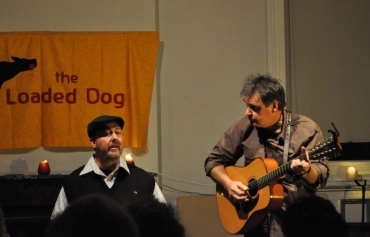 A great time was had by all when Maurie, Jeannie Lewis, Tom Bridges, Bob & Margaret Fagan, Margaret Walters, Christina Mimmocchi, Kate Maclurcan, Mithra Cox and the Dog audience filled the best acoustic space in Sydney with songs by Pete & his friends. Margaret Walters, Christina Mimmocchi, Margaret Fagan, Bob Fagan, Tom Bridges, Jeannie Lewis and Maurie Mulheron. 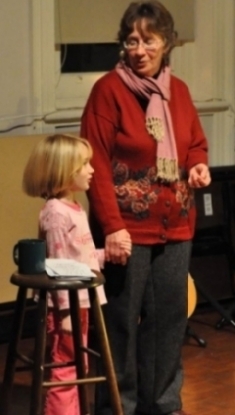 Margaret Walters with her 5 year old granddaughter, Gracie. 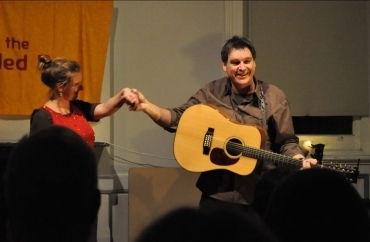 Mithra Cox and Maurie Mulheron. Tom Bridges and Maurie Mulheron.